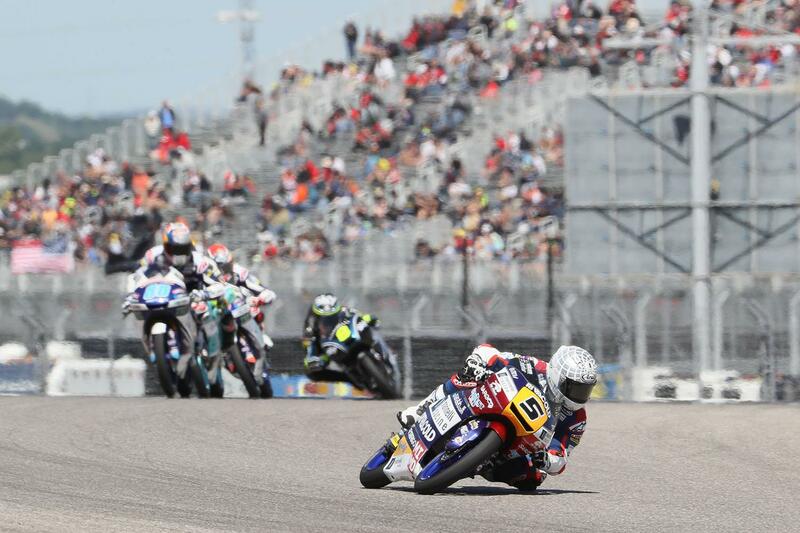 Romano Fenati has taken a dominant Moto3 win at the American Grand Prix – his first win since he took the top spot at the same race last year – after red flags allowed him a second chance at taking on the weekend’s fastest man Aron Canet and pushing him to an error. Canet and title leader Joan Mir were the early breakaway leaders, but a red flag on the third lap meant full restart – and allowed Fenati to get a better run off the line. Slotting in behind Canet, who has dominated the weekend so far, he was able to push the Spaniard to a mistake, leaving the road clear for a dominant win by nearly five seconds. It was a lot closer in the battle for second, though, with the Gresini Honda pairing of Jorge Martin and Fabio Di Giannantonio eventually emerging on top after a frantic twelve-lap shortened race, ahead of a strong result for Enea Bastianini, Nicolo Bulega and Juanfran Guevara. John McPhee was happy to come home in seventh on the British Talent Team Honda, admitting that it was an important result at his weakest track of the year – and taking a valuable point off title leader Mir in eighth. 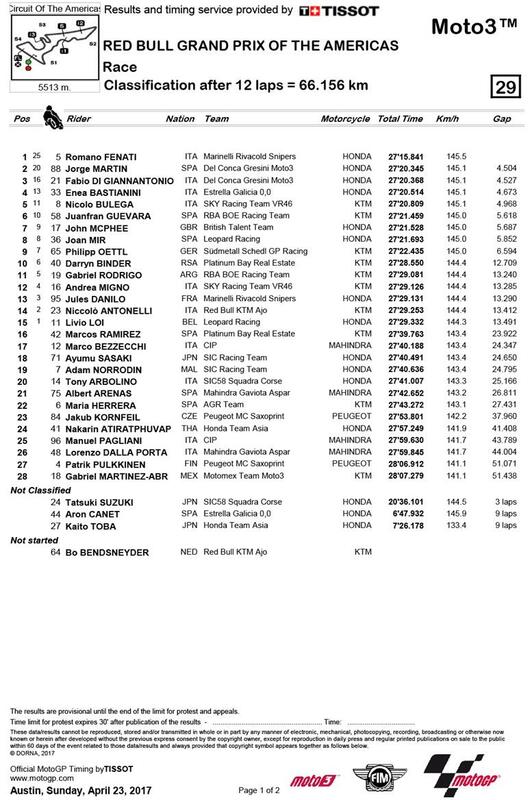 Philipp Oettl and Darryn Binder rounded out the top ten.